20 yard Roll on Roll off containers are great for disposing of large amounts of heavy and or bulky materials. Any waste may be disposed of in this skip apart from the exclusions listed. All containers must be level loaded. Skip doors are made of heavy steel and caution should be used when opening or closing doors to prevent injury. 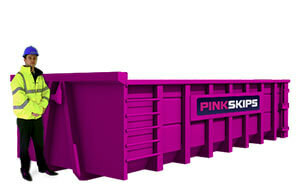 40 yard Roll on Roll off containers are great for disposing of large amounts of light and bulky materials. 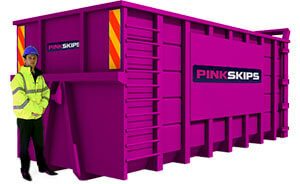 Any waste may be disposed of in this skip apart from the exclusions listed. All containers must be level loaded. Skip doors are made of heavy steel and caution should be used when opening or closing doors to prevent injury.